Ferrari SA Aperta east cabriolet version of the 599 GTO. Presented in preview in October 2010 at the Mondial de l’Automobile Paris 2010, it will be produced and marketed in 2011. Only 80 copies will be made. The SA Aperta is produced by Pininfarina SpA, for the 80 years of the famous design company, its name SA is in reference to Sergio and Andrea Pininfarina. It is equipped with engine and box 599 GTO. 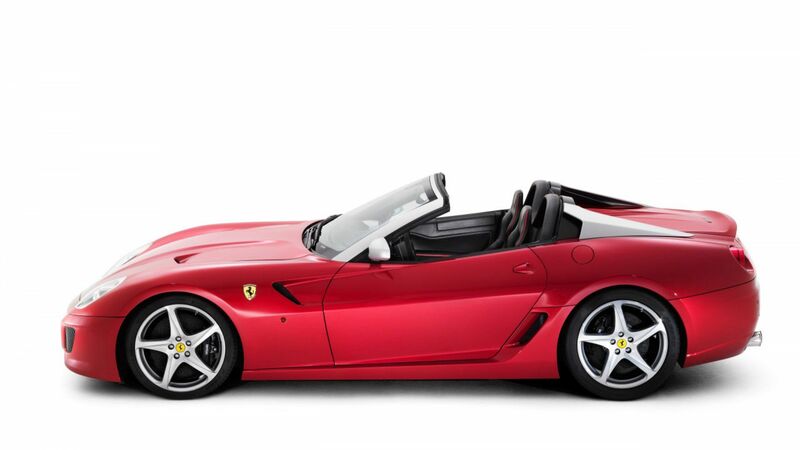 This car of the Prancing Horse brand has no roof but a top-up may be clipped in case of rain. It costs more than Â€ 400,000. During his presentation, all copies (80) had already been sold at private events (concours d’elegance, etc).